We thought we had the answer 25 years ago, when countries, through the Convention on International Trade in Endangered Species of Wild Fauna and Flora (CITES), classified the elephant as a species threatened with extinction, essentially banning the international trade of elephant ivory. For a time, it seemed the legacy of that decision would be a growing elephant population in Africa. However, certain countries, including the United States, China, and Japan, continued to allow the legal trade of ivory within their own borders, keeping the culture of ivory worship alive. 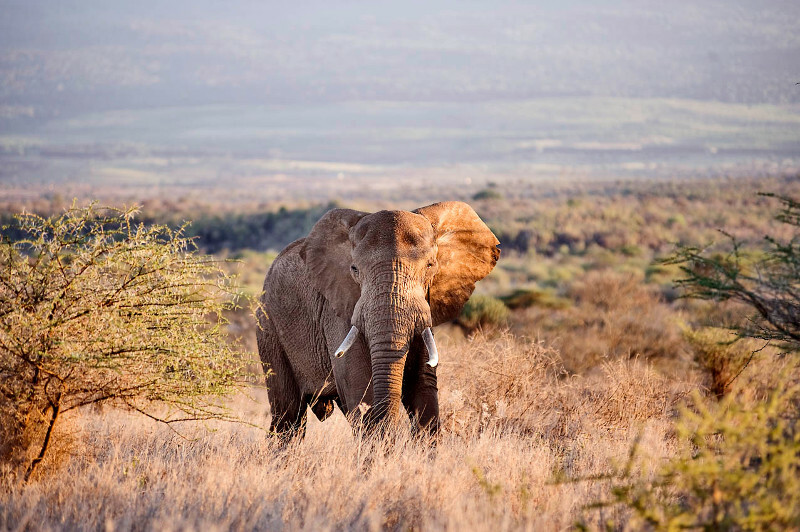 At the same time, CITES allowed Japan, then China and Japan, to purchase large caches of accumulated ivory in select countries with well-managed elephant populations in 1999 and 2009, respectively. These actions created a renewed demand for elephant ivory and resulted in a resurgence of elephant poaching on the continent. Though many actions must be taken to stop the illegal trade in ivory, AWF believes two actions in particular will make a significant impact. We urge countries with confiscated ivory to take the bold step of destroying their stockpiles, rather than saving ivory for potential future sales. And we urge countries that still allow domestic trade in ivory to ban it altogether. Both of these actions will send a clear, uncompromising message to those involved in this business that there is no future in ivory. Mainstream conservation groups tend to be aligned in this belief, and, while these actions are not always politically easy for governments to take, an increasing number of countries appear to be headed in this direction. AWF will continue to fight for elephants and their future, but I hope you know that this can be your legacy too. Your support has already increased the number of rhinos in Zambia’s Mosi-oa-Tunya National Park and is giving a community in the Democratic Republic of Congo a new economic opportunity while also supporting great apes there. Learn more about AWF’s elephant conservation efforts today.